Aaron brought his iPad to school to attempt to connect to the Raspberry Pi over Wi-Fi, (hopefully for control and streaming) but after much trial and error, he quickly discovered that it may not work. The rest of the team began working on the concept of a new chassis with telescopic capabilities. 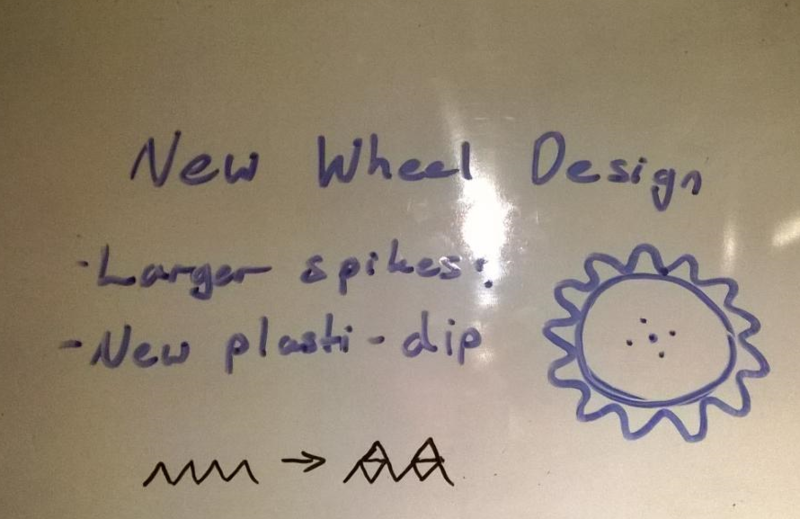 Matthew designed a simple wheel to check the spacing of the screws on the servo. Once the measurements were perfect, he started creating a new wheel design in Inventor.